3D Printing Nerd helped us to learn how to remix two different items in Tinkercad. 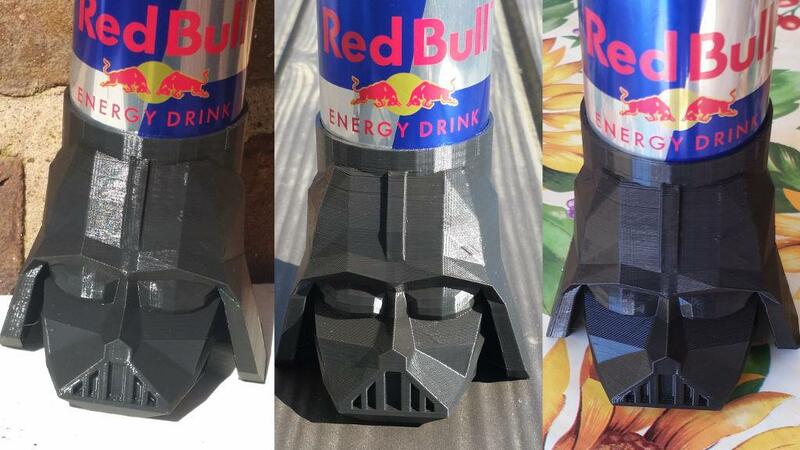 He used one of the Agustin Flowalistiks models, low-poly Darth Vader, and added a can holder to it, specially for Red Bull. Joel is a big fan of Red Bull and he made multiple Koozies especially for this can size. You can find Groot, Darth Vader and Bender Koozie files on his Thingiverse profile. We printed Darth Vader in black PLA and took multiple pictures of it around the house. It is an impressive item, definitely will surprise our friends. 3D Printing Nerd is a very active 3D printing community member. You can find his profile on most of the social platforms. Recently he covered Mind West Rep-Rap Festival (MRRF2017) where he interviewed many other community members, such as Daniel Noree and Lauren of Abuzz Designs. His interviews are a big help for us as he covers something we have never known about community members. For example, we learned from Joel that a popular 3D printing test file 3DBenchy’s father was Daniel Noiree. One of our favorite videos is a “Greedy Cup” where Joel shows 3D printed Pythagorean cup in action. That’s when science and 3D printing collide. We also liked his Fidget Spinner tutorial. This encouraging video shows how easy it is to design a personal fidget spinner with Autodesk Fusion 360. 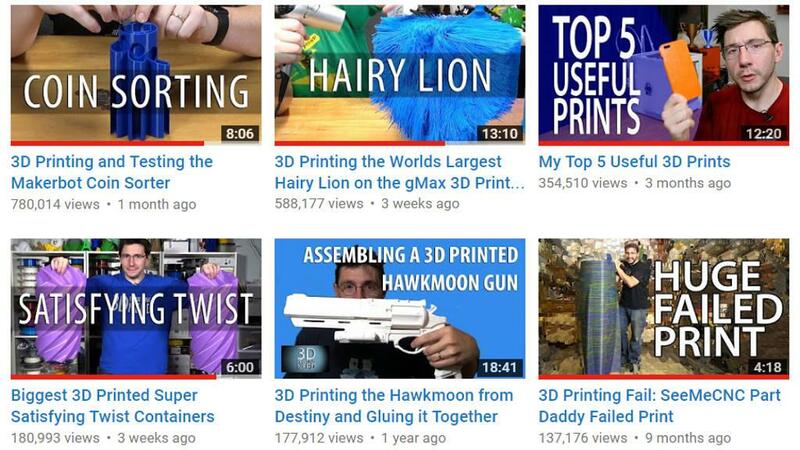 I’m Joel, and I am YouTube’s 3D Printing Nerd. I use my channel to discuss and review 3d printers, I show how to 3d print models, and I advocate for this technology to get into the hands of kids!